Most of you would already know that KAT (Kickass Torrents) was closed down after the arrest of Artem Vaulin, owner of Kickass Torrents, on July 20, 2016. However, the original site was back again on the scene. That said, users need to use the best VPN to secure their online privacy while accessing preferred alternatives. Fortunately, it is still possible to download your favorite torrents through sites other than Kickass Torrents. With Kickass Torrents alternatives, you can fulfill your torrent download wishes. The alternatives include popular sites that boast the latest Torrent mirrors for KAT. Additionally, if you’re looking for best torrent sites, anime download sites, and the likes, you’d be pleased with the list below. Important Note: Downloading things from torrent websites is an act that’s associated with varying privacy risks. Lawsuits, DCMAs, and Copyright Infringement can get you in trouble. This is where a VPN comes in handy. We suggest downloading one to keep yourself anonymous. A VPN does that by cloaking your IP address. Additionally, it helps in hiding your internet activity by tunneling your traffic via secure protocols and then using military grade encryption to encrypt it. That way, your ISP or anyone else can’t see what you’re up to on the World Wide Web. The Pirate Bay is a leading name in the torrent websites’ industry. It’s safe to say that it can go head-to-head with KAT, indexing some of the most widely shared torrents to date. Though the company has also experienced seizures of multiple domains and even received DCMAs in the past, it came back from all such warnings and notices. After Kickass Torrents was seized, the Pirate Bay became the biggest torrent website worldwide. When you’re actively searching for Kickass Torrents alternatives, one of the best names is TorrentDownloads. The site provides several magnet links and torrent files for content from multiple categories, including movies, books, software, games, and much more. Launched in 2008, this website offers the latest magnet links and torrent files. RARBG has had its fair share of censorship problems and blockages in the past few years. October 2015 was the last period in which it was blocked, but it came back strong. Today, RARBG has a big database of users, several hosts for the latest torrent files in different categories, and a plethora of comments on different download links. For downloading your favorite torrents, we recommend giving Worldwide Torrents a go. 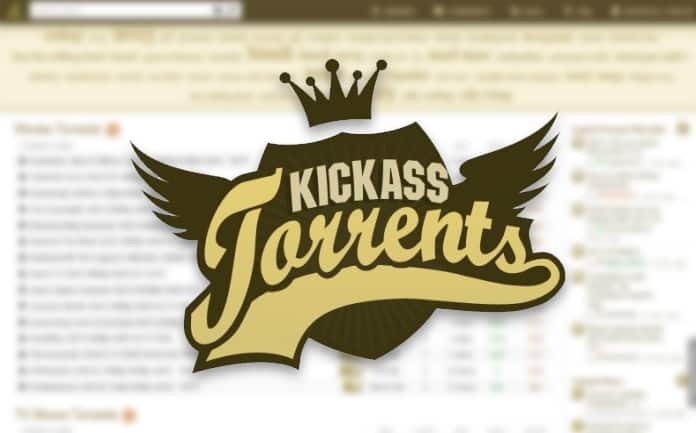 This best KickAss Torrent alternative hosts several torrents in multiple categories: books, anime, software, games, music, and much more. You can download any type of torrent file right away. Hence, it’s safe to assume that Worldwide Torrents is one of the best Kickass Torrents alternatives out there. In contrast to The Pirate Bay and Kickass Torrents, Popcorn Time is a streaming website that uses the P2P BitTorrent Protocol. It comes with an easy to navigate and slick user interface that enables you to watch TV shows and movies in 1080p or 720p quality, with minimum buffering issues in standard streaming mode. A VPN can be used to access Popcorn Time where it is blocked. It is another famous torrent site that is up to date and has indexed multiple torrent files and magnet links. However, it has strict rules against what sort of torrents can be submitted. Though it is blocked in several regions, you can access limetorrents proxy to solve your issues. Another widely popular torrent index, YourBittorrent is suggested by several torrent search engines, including Torrentz. The website was first introduced in 2003 and exists as a famous torrent tracking site. Users can find torrents about music, TV shows, software, movies, and other entertainment content. By default, downloading torrents follows the same procedure for all devices however there are some differences for downloading on iOS devices. YTS.AG was recently renamed to YTS.AM. You can assume that this torrent site is one of the best KAT alternatives as it is the only official URL for YTS torrents. Therefore, you can download your preferred YTS YIFY movies from the website almost instantly. This is an amazing Kickass Torrents alternative that provides 3 million “verified” torrent files to downloaders. Zooqle provides torrent files on various categories that contain movies, TV shows, music, and much more. TorLock is one more torrent site that enables users to search their favorite torrent files immediately. The site provides torrents on multiple genres including music, TV shows, anime, ebooks, and more. TorLock should be on your list if you want to explore the best KickAss Torrent alternatives. We’d like to note that these clones of the original KAT site aren’t trustworthy. In fact, they pose a risk to one’s security and online privacy, so we suggest using a VPN when you open them. Kickass Torrents had dodged several aims at it regarding warnings for hosting copyright infringement material and DCMAs for multiple years. However, FBI, along with Apple’s help, found the owners and arrested them in Poland. And with their arrest, the popular site was also shut down. Till anything similar pops along, you can leverage the 10 best Kickass Torrents alternatives. They’re up and running when we checked and offer a variety of torrent files from various websites. In addition, you can utilize the Kickass Torrents mirror sites to enjoy the same layout as Kickass Torrents but be aware of the risk posed by these clones. Therefore, using a VPN will be really handy in safeguarding against DCMA’s as well as in protecting your privacy. Enjoy downloading your favorite movies, games, etc. and feel free to leave comments.